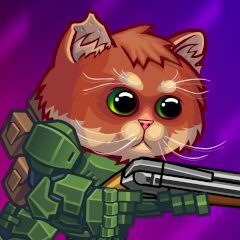 This armored kitten has a gun and courage to deal with zombies. Take control and have fun! Nobody can stop the hordes of zombies except this armored kitten. Grab a gun and destroy them all before they reach you in melee.